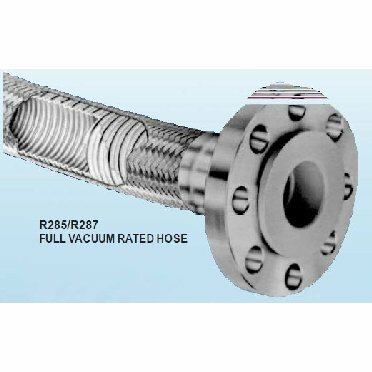 Conductive low pressure full vacuum hose. Extra heavy duty construction with additional wire support provides the ultimate in flexability for use in full vacuum conditions. PTFE meets FDA 21 CFR 177.1550 standards. Available in bulk or hose assemblies.